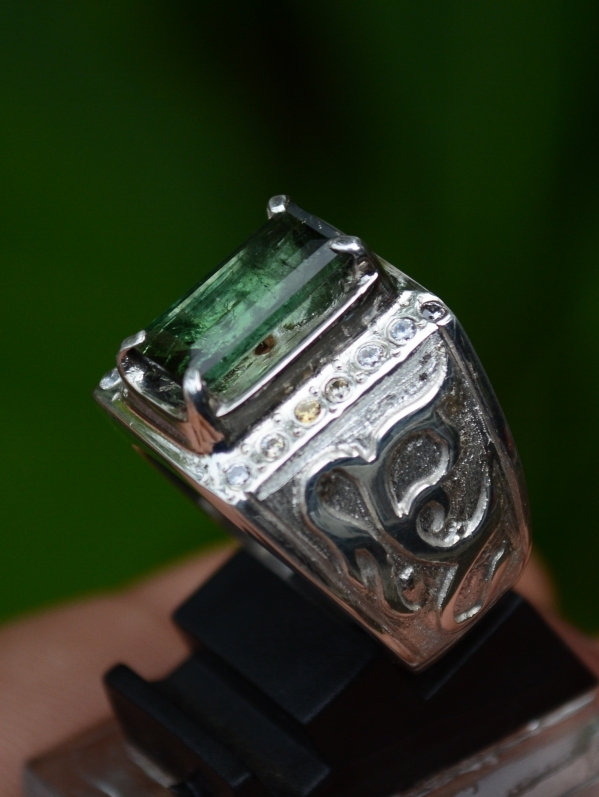 This is a very beautiful Natural Green Tourmaline. The color is good dark green! It is already set on a good 19mm handmade silver ring! 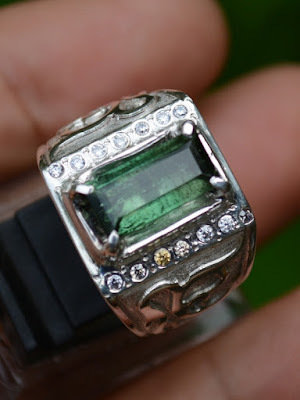 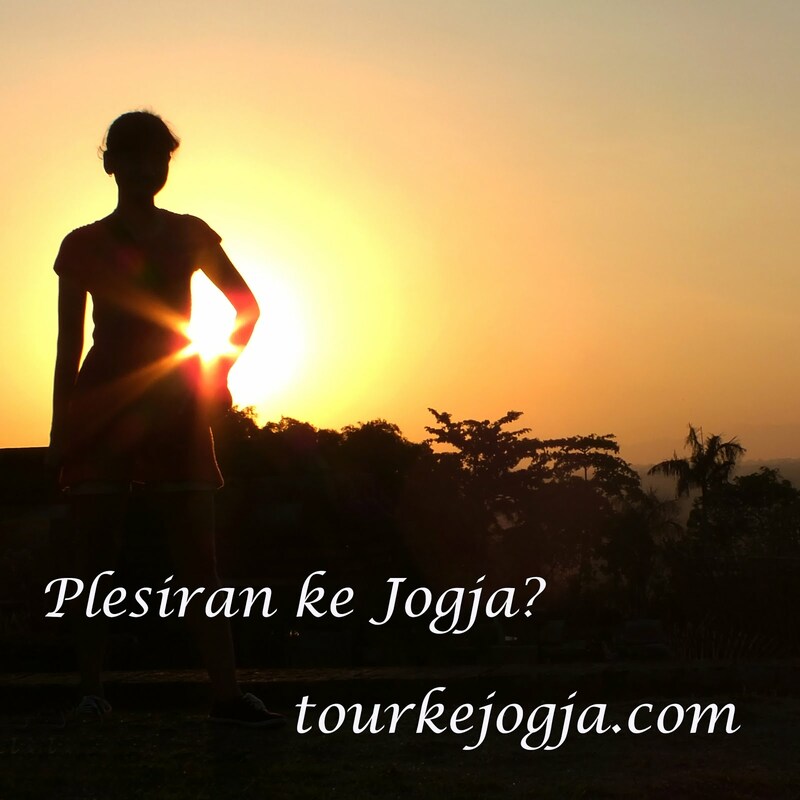 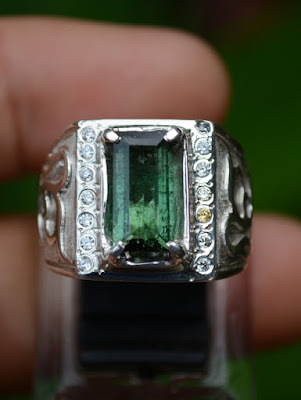 The examiner of this gems is ISGL Gemstone Lab Jogjakarta. 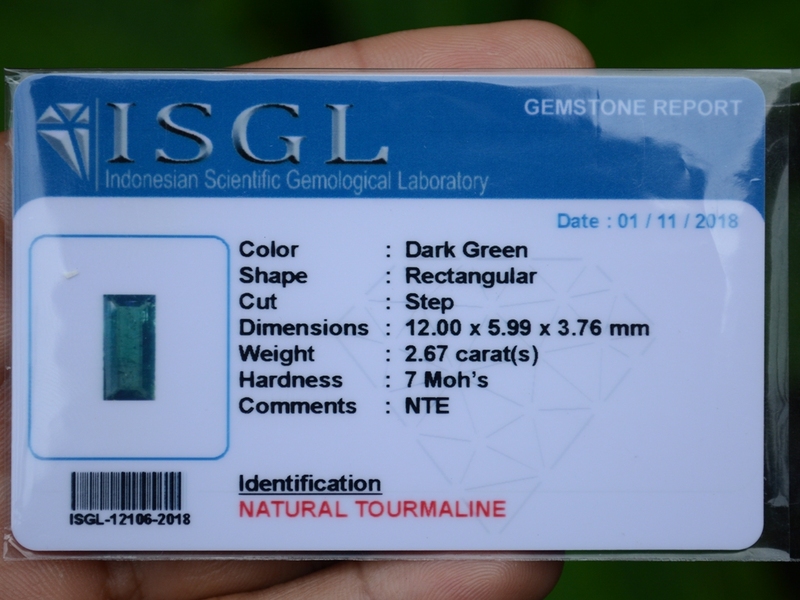 The size of the gems is 12mm x 5,9mm x 3,7mm. Get this beautiful Natural Green Tourmaline now! 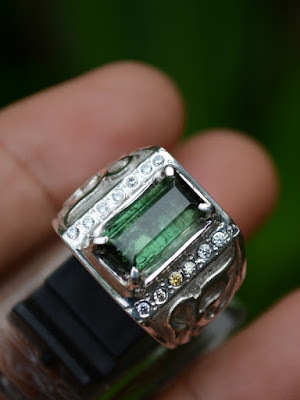 can you tell me price of it?